Well, this time I’m not eating actually. We had a bunch of tomatoes left over from our little veggie patch and I was determined to do something different with them. We have eaten our weight in BLT’s and I didn’t want to make any more pasta sauce or soup. I got the bright idea that I would dry them. I found lots of instructions online and read through several before settling on a plan. Most agreed that you just had to slice them, lay them out on a baking pan and set them in an oven at the lowest setting for 10-20 hours depending on the humidity and thickness of your slices. Some suggested adding salt, pepper, garlic and other seasonings as you liked, to give them a little added flavor. I chose to sprinkle the pans with some sea salt before laying the slices out and then I gave them another sprinkle, along with some black pepper. Not only were they turning a terrible black color, but they appeared to be permanently seared onto my fancy pizza pan and slotted broiler pan top. 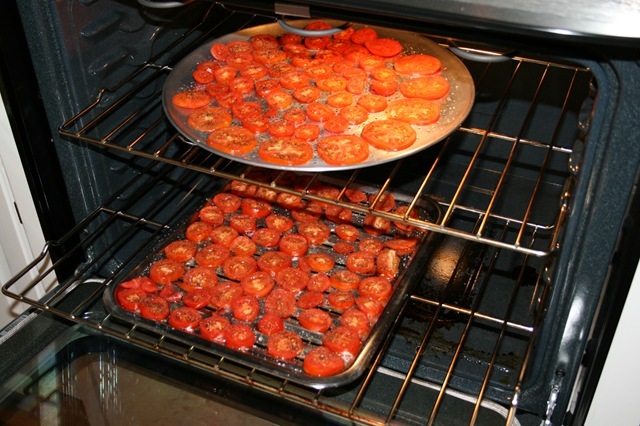 To make matters worse, my whole house smelled like roasting tomatoes. I have since learned this is not a sent I enjoy in the slightest. Oh well. It’s another live and learn moment in the Kitsch Designs world of “Eating”. Aw...too bad. 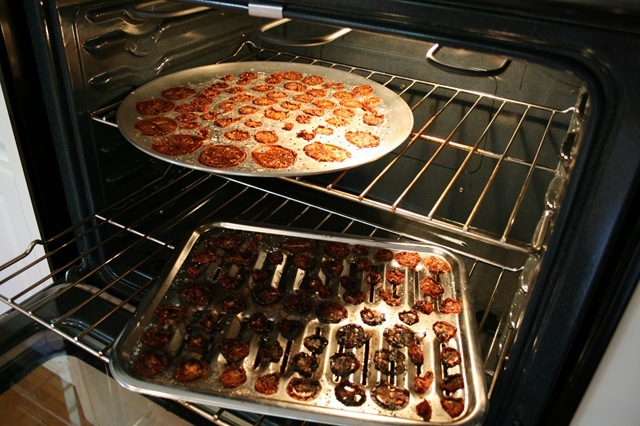 Maybe you'd have a much better chance with a food dehydrator. Was the temp too high in the oven? 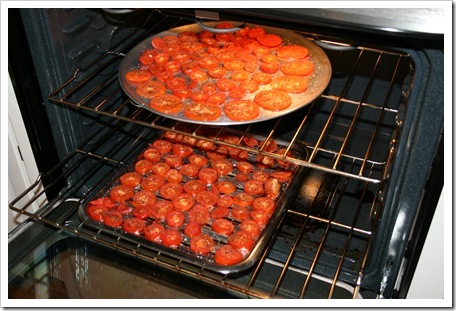 Usually drying in the oven is about 125* or less. I think you are right Melody. 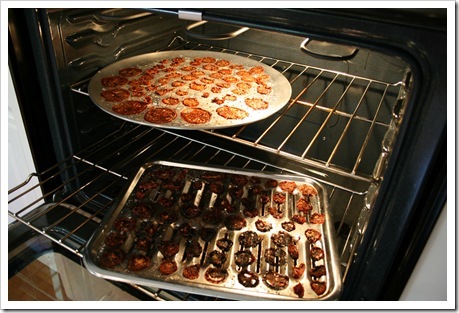 I believe the temp was too high and a dehydrator would have probably worked much better.